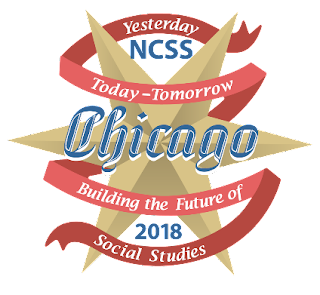 The world’s largest and most comprehensive social studies professional development conference is NCSS. This year's gathering of teaching professionals from across the country offers a perfect opportunity to showcase the latest FREE online social studies lessons from Curriculum Pathways. It offers 700+ free social studies tools and resources, each addressing the enhanced rigor and critical thinking goals of the College, Career, and Civic Life (C3) Framework for Social Studies State Standards. These resources contribute to greater digital equity by offering high-quality, free online software for all. And now there is something new to celebrate. The 44 most popular Curriculum Pathways social studies lessons just got a makeover! Online questions and feedback exploring the Silk Road and Buddhism. Explore the complexities of the Columbian Exchange. 2018 -19 updates offer standards-aligned web and mobile-friendly resources with the ability to save and re-load to a user portfolio. The NCSS conference is a good opportunity to make sure every teacher knows about these resources. They are now sizzling with the same critical-thinking challenges, but include more maps, more images, and more online assessment tools; you can also save work in a portfolio and access it across all platforms and browsers. Of course, the resources are still free (and nothing beats free). Take a look at old favorites updated for today's students! Want to create your own interactive lessons? Here's Crio! Digitize your favorite paper-based lessons with our newest tool, Crio. Imagine, create, and share lessons that inspire students' natural curiosity with this easy-to-use drag-and-drop editor. Breathe life into your favorite lessons by adding audio, text, images, and video—along with the interactive content of Curriculum Pathways®. As teachers build and share new, engaging lessons, the resulting library of resources provides students with access to innovative content for any topic.